The Home Office Digital Internship programme was born in 2015 with the sole aim of attracting and maintaining a stream of talent to build and support our digital services, now and in the future. Over the past few years, we’ve been working to improve our ability to design and deliver digital services, and to modernise critical technology infrastructure to help keep our country safe. Although we’ve achieved a great amount, and there’s still much more to do. Our Digital Internship programme plays an important role in this. We work hard to attract new talent into the civil service. At the moment, internships are offered in the user research and interaction design professions, but next year we’ll extend the scheme to include content design, service design and software engineering. Interns join on a 12-month appointment, during which they follow a tailored, profession-specific programme that paves the way for them to apply for a permanent position in a junior role. As well as practical work experience, interns have access to mentors, e-learning, internationally recognised qualifications, and regular feedback sessions – all of which helps them to develop their career. The interns value these opportunities to learn new skills and we encourage them to share their experiences and what they’ve learnt. 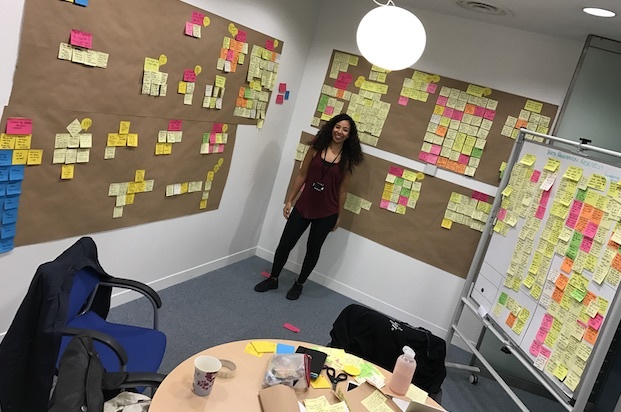 You can find out for yourself by reading blogs from user researcher interns Kiri Chaundy, Nick Wainman and Ben Walker and interaction design intern Simon Castillo. So far 3 groups have completed the programme and we’re really proud to say that all have gone on to achieve promotions either within the Home Office or wider government. In her blog about a digital age for all ages, Holly Ellis, (our then deputy director of digital delivery), made a really valid point. We talk a lot about bringing in graduates fresh from university, but what are we doing for those with potential who already work within Home Office Digital Data and Technology and are looking for a new challenge? That’s why from 2018 we’ll offer internships to civil servants looking for a change of career. Through the Home Office Digital Internship Programme, we want to attract people who want to make a real difference. You’ll work on services that matter to millions of people and in return you get the opportunity to work with people who value user centred design and create work they’re proud to talk about. Read more about the Home Office Digital Internship programme.